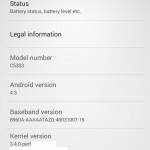 Sony Xperia SP users are furious over Sony for delaying android 4.3 update, back in December we saw android 4.3 12.1.A.0.253 firmware being certified for all variants of Sony Xperia SP and then later an alleged about phone screenshot from android 4.3 12.1.A.0.252 firmware was leaked. When we asked Sony Xperia support on Twitter that what is the progress with android 4.3 update for Xperia SP, thy replied “work is still in progress“. 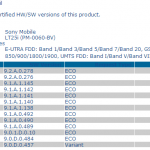 Well it seems Sony is rectifying some major bugs from previous certified firmware as again a new Android 4.3 12.1.A.0.256 firmware has been certified for Sony Xperia SP on PTCRB website. 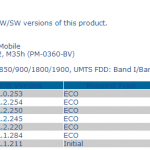 It seems the final android 4.3 build for Xperia SP and should come soon now. 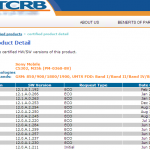 12.1.A.0.256 firmware Certification has been removed from PTCRB site now for the time being. 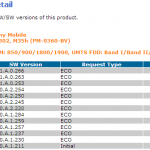 Check below the certification of Android 4.3 12.1.A.0.256 firmware on PTCRB website for all version of Xperia SP viz. C5302, C5303, C5306. At present Sony Xperia SP is on android 4.1.2 firmware and has many serious bugs like poor camera quality, battery and heating issues etc. 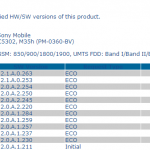 It is expected that Xperia SP will get same UI just like Xperia Z and other family members got in their android 4.3 firmware update. 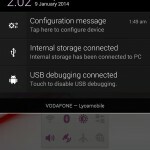 It should be now the matter of some days that this Android 4.3 12.1.A.0.256 firmware goes live for Xperia SP. Drop your comments Xperia SP users, are you satisfied with Sony’s policy is delaying updates over and over. Not satisfied but just okay with it. At least it’s better to have robust and stable firmware than a buggy one released in hurry. Thanks for the info Anurag. Please check PTCRB website once again. Is the last firmware gone someway or my browser makes some jokes for me? yes just checked last firmware is gone from PTCRB site now sadly. OK, thx. It means the official update is going to be postponed once again, unfortunately. 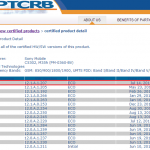 At first something newer than the december firmware needs to be certified by PTCRB.